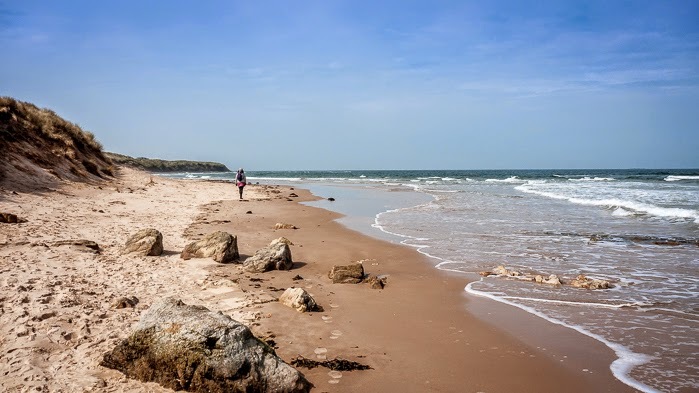 I'm on holiday on the coast of Northumberland, a lovely and quiet spot of the UK with miles of sandy beaches and few visitors. Blue skies, golden sands, lapping waves, it could almost be the Bahamas - but the tightly buttoned anoraks probably give the game away. Being the sad old wargamer that I am, as I wandered along taking a few snaps, I started to think of an army with a coastal theme. 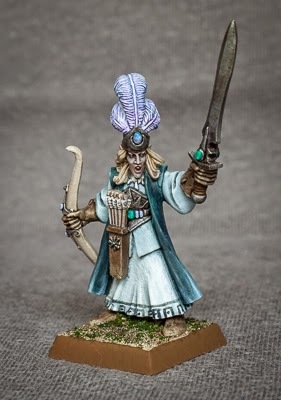 I have quite a few old high elves stashed away and would love to get them painted one day, so why not daydream about a few possibilities? That's what holidays are all about. 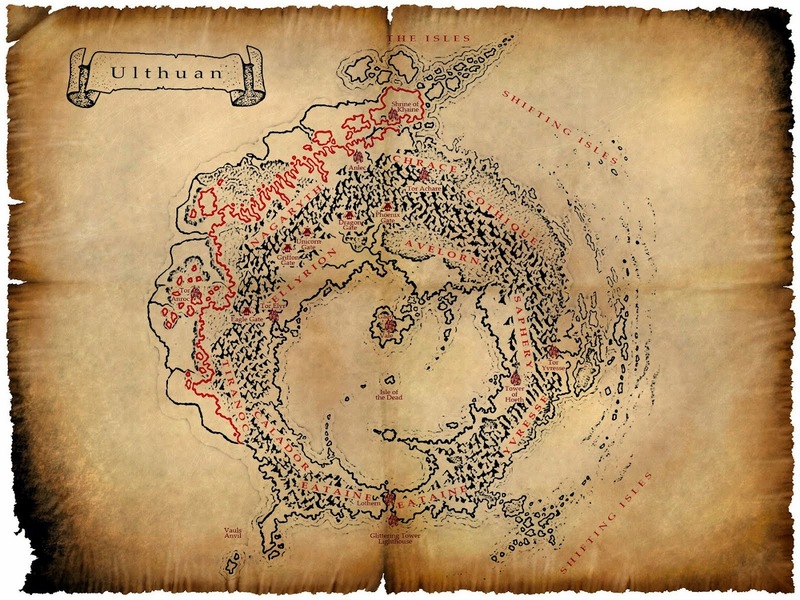 If you look at the map of Ulthuan you can see that Yvresse lies on the east coast. It is protected from enemies by magical mists and shifting isles, is sparsely populated and contains just one city, Tor Yvresse. According to the web, it's a forested, mountainous region of wide grassy plains and bleak coastal areas, sparsely populated and often referred to as the "land of mists". I need to check my old High Elf army books for all the lovely fluff they contain, but that sounds vaguely familiar so let's assume that is true. What would an army of Yvresse look like? All elves are required to serve in the militia in time of need and train as archers or spearmen. A unit or two of each would not look out of place and would nicely fill the core selection. I have some old plastic spearmen I could use, plus some metal Seaguard models that I think could easily be adapted to this role. Archers are a little more of a conundrum, I prefer the old style metals but they are difficult to get hold of. Silver Helms are also pretty ubiquitous in themed armies, they are the nobility of the realms so I could finally get to paint my ancient unit - it's been sat in a cupboard for at least fifteen years. I have always been deterred by the slightly goofy horse sculpts, but I may have an idea to get around that. A unit or two of light cavalry could also be included, scouts based on Ellyrion Reaver models or stats, roaming the coastal lookout posts and acting as messengers. In terms of special troops, the choices are a lot more restricted. Swordmasters and mages from neighbouring Saphery would be frequent visitors to Yvresse - somebody has to maintain the magical mists and Shifting Isles! I also think that chariots could be suited to the coastal areas, while eagles and maybe even griffons could be stationed in the mountain areas. That gives me a rough outline of what to include - and happily maps on to my exisiting collection in many areas, so I could get it done on the cheap, always a bonus. The colour scheme is an interesting challenge. I like the idea of coastal colours - pale blues, sea greens, a smattering of light sandy tones. This is a recently completed commission that coincidentally fits the palette for the most part. A whole army with variations on this theme would look rather splendid. It's classic elf blue and white but with a mellow, slightly melancholic ambience. You can almost hear the waves crashing in and the gulls wheeling overhead, smell the salt in the air! Corrupters of the Apocalypse by Avatars of War. 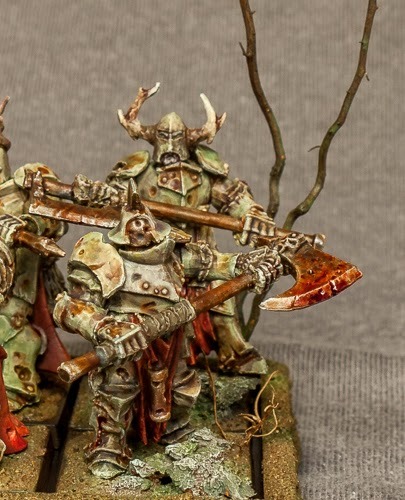 I guess most people will buy and use these as Nurgle chaos warriors. They sure look the part more than the standard models. I was intending on building an army with no particular game system or background fluff in mind, just a couple of boxes of these models and a few other plastic bits and other stuff from my pile of unpainted models. I started painting and wanted to avoid the usual green armour, but somehow found myself glazing in greens, browns and yellows. When I came to paint the robes I stumbled a little, knowing that a reddy orange would detract from any gore, but I had never intended gore to be a key feature. The bases are fairly minimal, I have used cork to build up a couple the models, it helps when ranking up models with great weapons. The grass tufts are bits of coconut shell, there's a very tough grassy stuff on them that is useful for terrain purposes. There's also a spindly tree built from an old root. I wanted the bases to look like a barren, blasted wasteland, but I fear they just look a little bland at the moment. I have a second unit of corrupters built, armed with hand weapon and shield. For this next unit I am going to go for a much darker armour colour, a deep grey, almost black. I think it should work well. 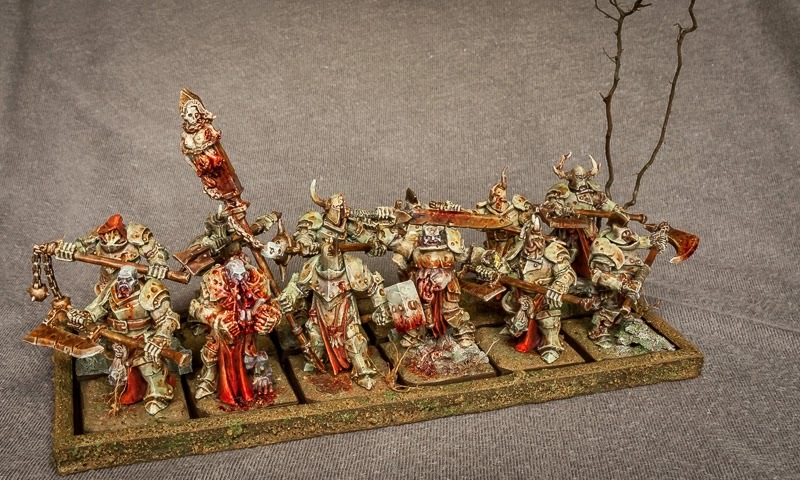 If the two units side by side look mismatched, I can always change the bases to snow on one of them and add the unit to my chaos warriors army. I was trying to avoid the usual cliche for green armoured Nurgle but seem to have fallen at the first hurdle. Ah well, there's three more units to paint up, plenty of opportunity for further experimentation and adaptation. If you are sat on the fence about these models, here's a couple more close ups to help you decide. They require a little more effort to prepare and build than GW models, but I think they are worth it. They retail at a good price too, so I heartily recommend them. I have piles! It's a serious problem, but you can help. 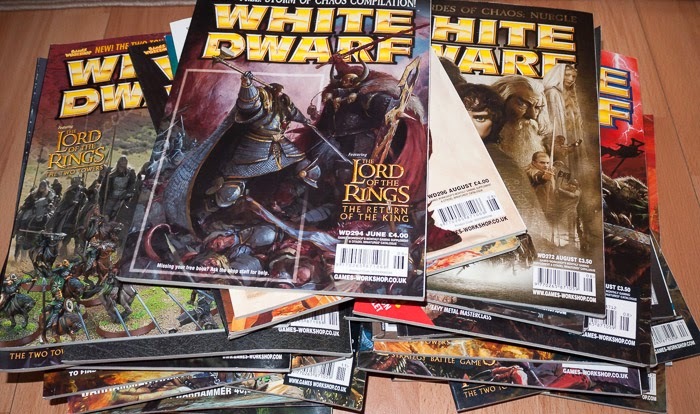 This is my pile of old White Dwarfs, stuck in a couple of boxes in the loft for years. I am downsizing my collection so am giving them away to anybody who wants one. There's a list over on the right, just let me know which you want, I can let you have a maximum of three copies to keep it fair - first come, first served. Please don't ask me to list what each issue includes, you can google that. I can't afford to pay postage on them, you will have to do that, but it's your chance to fill any gaps in your collection, or have a look at how it used to be. Just leave me a message with your email in and we can take it from there - I will switch over to moderated messages so your details are not displayed in the comments. Postage for a 2nd class small parcel will be about £3.50. That covers 3 copies of the magazine, in the UK only. The cost for overseas is probably too prohibitive, but if you are really insistent I will give you a no-obligation quote. It's a limited time offer, the next recycle collection date is middle of May, so grab them before then or they will be turned into cardboard boxes. I am pretty sure I have another pile somewhere, earlier copies than these, but they will have to wait until my next trip up into the loft. I have split the Drabant vikings into two batches, the first being these combat troops, the archers can wait. Cleaning metals is never easy for me, I much prefer plastics or resin, but these are a little bit different to the typical metals. They are a bit softer, so much so that any attached weapons were bent in an alarming fashion. Luckily, I was able to straighten them out without any breakages. The up side to the softer metal is that they are easier to clean of mould lines. There was no flash at all, I suspect any that is present straight from the mould is cleaned before they are packaged, which is a nice touch. Some of the weapons, mostly the swords, are separate to the main figure. This means you have to drill a hole into the hand, clip off the pommel and part of the handle, and insert the remains of the handle into the hole. It's not too bad if you have the right size drill bit - mine of course was slightly too small, so much faffing about ensued. It was relatively easy to file down the sword handles to fit into the holes, but the spear was impossible. In the end I had to use a paper clip, which was too small in length, so I had to use two and pin the spear head onto one piece. After all that work, it looked wonky so I started again and used an axe instead. Historical hands and weapons are the bane of my hobby life! I cannot understand why the weapons and hands are not cast as one piece, to be simply glued on at the wrist. Now that the prep is complete, I can look forward to painting them up. Normally I rush through historical figures and get them done to a tabletop level as quickly as possible. As these are such fine sculpts, I am going to take my time and give them a better paint job. Here's my haul from Salute. I didn't actually go, but a mate did and picked these up for me. Six packs of Drabant Miniatures from the Old Glory stall, and a single fantasy miniature from Hasselfree. The vikings were 6 for the price of 5 so a good deal, I was convinced by what I had seen on the web that they were for me, thought I might as well take advantage of the show offer. There's 12 archers and 12 combat troops here - enough for 3 Saga points or a good addition to my viking collection for other games. When I have cleaned and prepared them I will put up some decent photos, but I can say already that they are the best dark age figures in my collection. 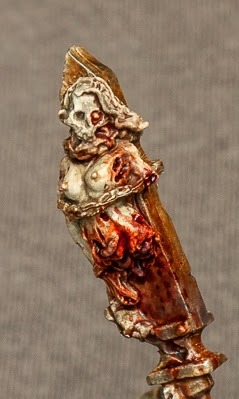 The Hasselfree mini I have bought as a companion to my upcoming Statuesque fantasy adventurers. I have no idea if the scale will match, but stylistically they seem as though they will be. I will know for sure when the Statuesque pre-order arrives. I don't know what to use them for yet, but have a few ideas in mind. My Dark Ages collection continues to grow, the newest addition is these plastic levy troops from Gripping Beast. As a long time collector of fantasy figures, most of them the finely detailed examples available from GW, I have to say that I was a little underwhelmed when the promo pictures for the levy were first released. I had waited for them for so long, then eventually gave up and bought metal figures. However, when xmas came around I received a frame of these new plastics from gaming buddy Matt as a gift - my one and only wargaming gift of the season! Looking at the frames the quality of the casting and mould lines is very good, as you would expect from Renedra. The sculpts are okay, the bodies are stooped a little and the heads are dominated by the older inhabitants of the village, but decent enough for levy. Assembled with spears I think they are passable, certainly better than the Wargames Factory plastics, though I remain unconvinced by the slinger poses. They are easy to paint up, a few washes and they are done. With shields attached and assembled en-masse they look pretty decent, certainly as good as many of the metals on offer. Their biggest advantage is the cost. Forty figures to a box, that's five points of warrior quality troops in Saga terms, for about twenty pounds. Add in a blister of metals and a warlord and you have a six point warband. They are pretty generic so could be used as Vikings, Saxons, Danes, etc. If you are not too fussed about historical accuracy you could probably count them as just about any of the Saga factions warrior or levy troops. A good way to add numbers to your collection. 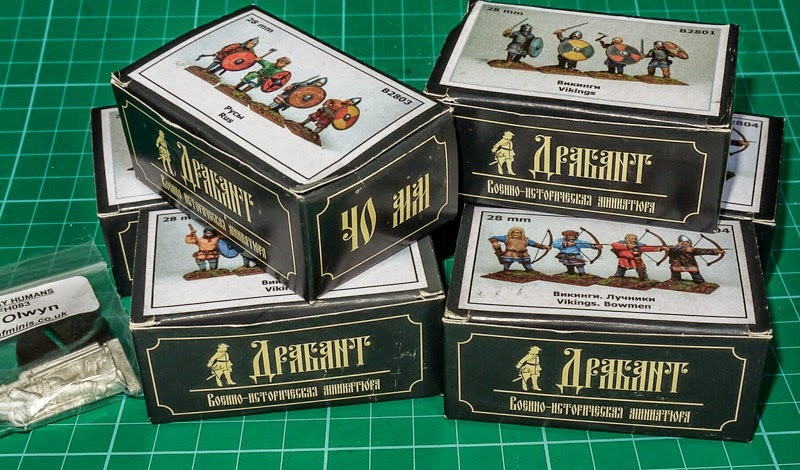 It's been a few weeks since I previewed the Saxon archers by Tanatus Miniatures (original post here). Now that they are painted and based, I will reiterate what I said then, that these are finely detailed historical miniatures. They paint up really nicely with a few washes and glazes. I was sufficiently impressed to go a little further with them and add bow strings, using human hair double twisted for strength. They don't score any more hits on the battlefield, but they look like they mean to! As usual with my dark age figures I have based them on pennies, which are magnetic. This means I can use them on their round bases in skirmish games like Saga, or I can build a movement tray for more conventional unit based games, most likely Hail Caesar at some point. I have more dark ages metals on the way, coming to me all the way from Salute. When I have those ready I will take some pictures to compare the different manufacturers in my collection. Following on from yesterday's quizzical post, I was indeed cutting out tiles for the roof of my new building. It seemed like a good idea at the time, it's made from strips of card, with slits cut for tiles. I stupidly decided to cut off the corners of each tile, it took me well over an hour to do the whole roof, which even for a rainy Sunday afternoon seemed like a very silly thing to do. It was only after I had finished that I searched online and found that Warbases made tiling sheets. At least I know for future projects! This is the state of play at the part painted stage. I texture painted the walls, then brown stained the timbers, before I assembled the building to save time. This was before the very silly roof episode. I quickly painted the roof and weathered the walls earlier today. Now that it's finished, it does look rather nice and will be particularly suitable to games of warhammer and medieval historical. At this stage, those of you that actually pay attention to this blog will be thinking to themselves, hang on a minute, I thought this building came with teddy fur for the roof and that it was going to be used in a dark age setting. And you would be right. Both of you. But fear not, I have a cunning plan that will enable me to use the thatched roof as well as this one. Which partly makes up for the excess of snip, snip, snip that has got me to this stage, but I have to say that it's not the best way to tile a roof. So please remember, this stunt has been performed by an expert, do not attempt this at home. Apologies if you are expecting some discussion of the 1980's ska revival band, creators of songs such as One Step Beyond, House of Fun and the classic Baggy Trousers. No, the madness I refer to is that which we sometimes undergo as we partake of our hobby. It's probably more obsession than madness, but then a blog post named after a perfume didn't quite have the same dramatic punch (though obviously it did have some aromatic advantages). I know many players feel that some parts of the hobby are challenging, difficult or just plain tedious. Some complain of cleaning and assembling plastic figures, I have more of a dislike of metal preparation. I know that painting is a huge hurdle to many, for me it's the whole point. But occasionally there is a task to be performed that most muggles (i.e. non-hobby folk) would consider a little obsessive, even insane. That is what I have been doing today. Can you tell what it is from the picture? 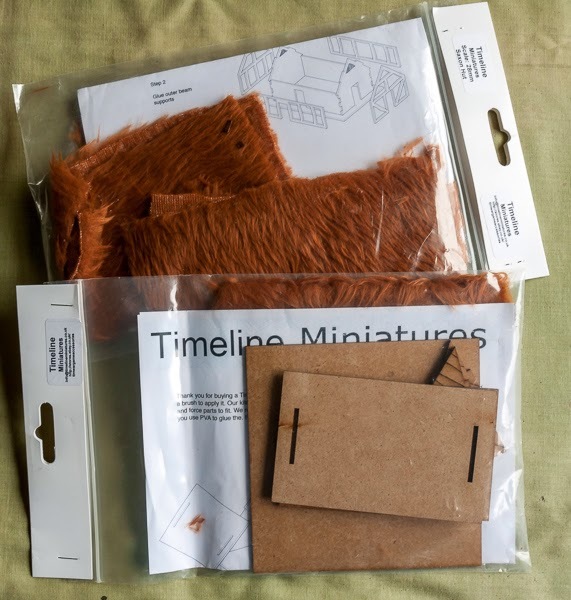 I recently stumbled across yet another producer of mdf terrain, Timeline Miniatures on ebay. 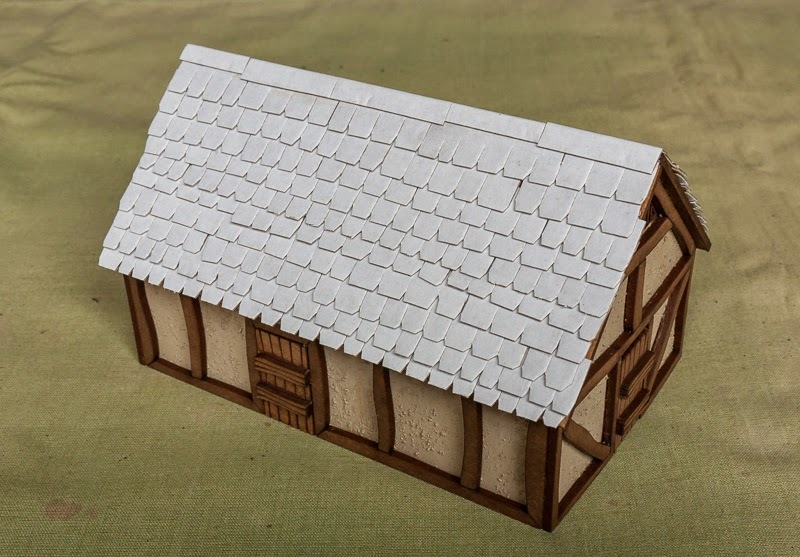 I thought the product shots looked very promising so I bought a couple of items from the store - a Saxon house and hut to add to my growing dark ages collection. I ordered them on Wednesday evening, they arrived on Saturday, so just a couple of days to wait, which is excellent service. The items arrived in a padded envelope. Each building is flat-packed in a plastic sleeve, with mdf components and teddy bear fur included - yes, teddy bear fur. Opening up a pack there are mdf parts for the walls and roof, doors and a base. There's also a set of very simple instructions included, which explains the obvious bits - don't force out the parts from the frame, do a dry run first and use pva glue and acrylic paint. 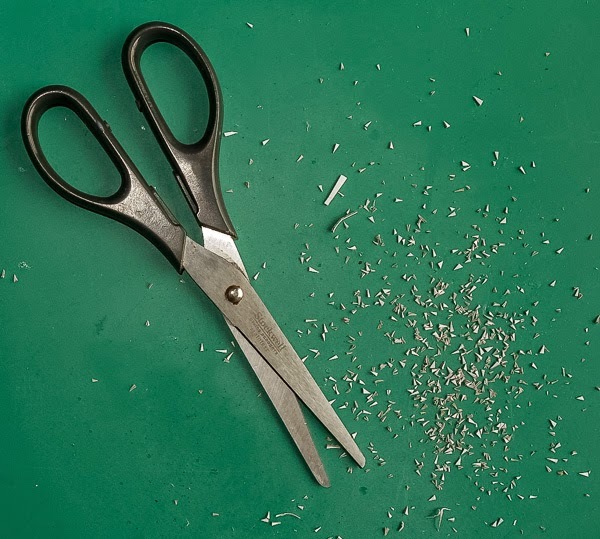 It would have been helpful to have some guidance on the more difficult bits - for example, some of these parts have to be removed from the "sprue", there's usually a corner that has not been completely laser cut and requires a final cut with a sharp blade for the bit to pop out of the frame. It's obvious to experienced builders but maybe not as much to newcomers to mdf materials. Assembly is pretty simple for the most part. Four walls and two roof sections - how hard could it be? It's worth noting that there's an integral base which also helps guide you in deciding which way around walls fit. My other buildings are free standing and so I decided not to use the bases. This meant I had to cut away the tabs that slotted into the base. I used a sharp blade and a steel rule, scoring through the mdf tab several times until it came away cleanly. Without this (self-imposed) extra step I could have had the hut built in five minutes, it's that easy. I decided to part assemble mine, paint the walls and timber sections separately to hopefully make the painting a bit easier. The final step is the application of the roof. This is where the teddy bear fur comes in. And this is the bit that I feel is missing from the instructions. The idea is to glue the fur on, trim to size, coat in dilute pva glue and allow to dry. The fur stiffens and can be painted, weathered, or could just be left as it is I suppose. 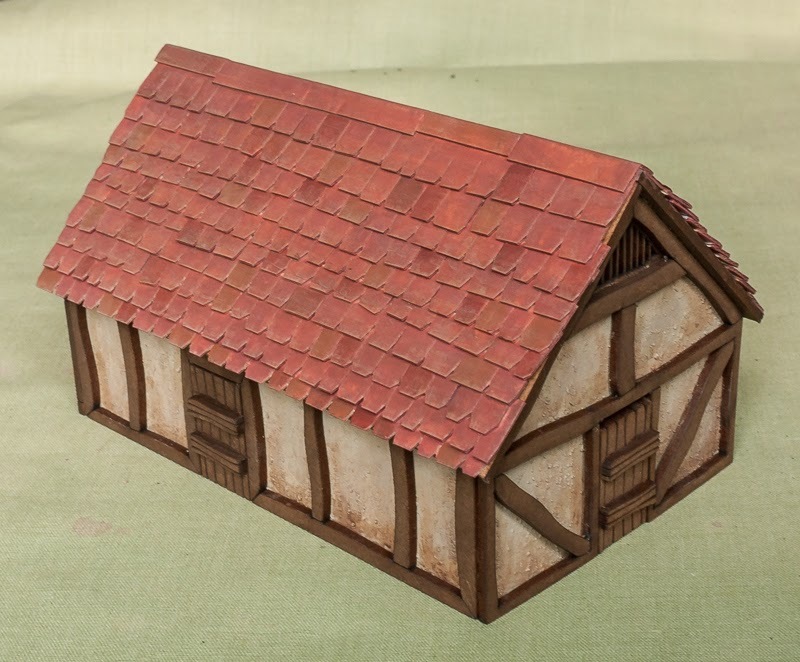 I have a handful of buildings already thatched and will use the leftover fur on these buildings, to maintain consistency across all my roofs. The fur in these packs I will use in some other terrain project. That's it for part 1 of the review. The buildings are well made and well packaged and go together quickly, though I do think that the instructions could be more informative on the roofing material. On the whole, they come highly recommended. In part 2 I will be looking at roofing, painting and comparing them with alternatives, hopefully some time next week. Here's something I noticed on the Lead Adventure forum the other day, a set of four adventurers from Statuesque Miniatures. The first thing I thought when I saw these was not Heroquest, as I suspect most would, but Talisman. I guess that reflects my entry into the world of fantasy gaming, I played Talisman with my brothers and mates for many years in the late 1980s and early 1990s before I attempted anything as complex as a minis game. One of the interesting things about these sculpts is that they are digital, yet they have a classic, old school look and feel - though to my eyes done with much more refinement and finesse than many a hand sculpted figure. I can understand wanting to recapture the freshness and excitement of early gaming days, though I fail to see why so many hunt down thirty year old sculpts which are often very crude and poorly done, and pay a premium for them to boot. It takes all sorts I guess. I liked the look of these figures so much I pre-ordered a set at a discount price. It was quite telling that some on the Lead Adventure forum complained about the price - they are £19 plus shipping in the introductory offer. It just goes to show the huge price differential across the different wargaming communities. Four quality fantasy sculpts for less than £20, imagine how ecstatic some sectors of the gaming world would be if prices returned to that level - it would be like going back to the 1990's for them again.